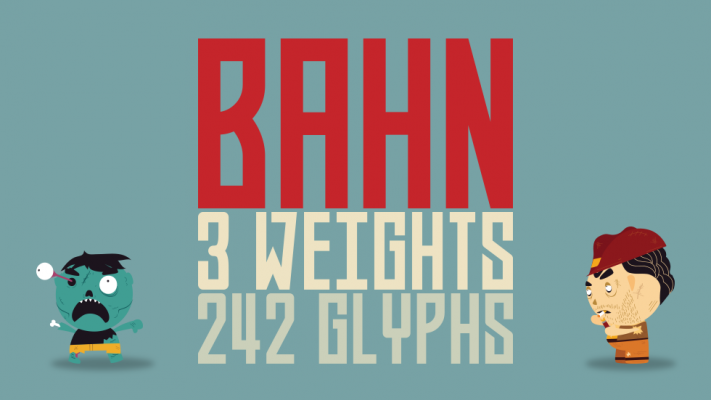 Originally, Bahn is a typeface that was inspired by the old austrian bahn signs. Rigorous, severe and alpine. However, when animated it took a whole different turn with flowy, liquid movements. And for the promo, a decent amount of zombie gore was added to the mix. However you use it, the hard edges of the design and the liquid animations for a nice contrast. 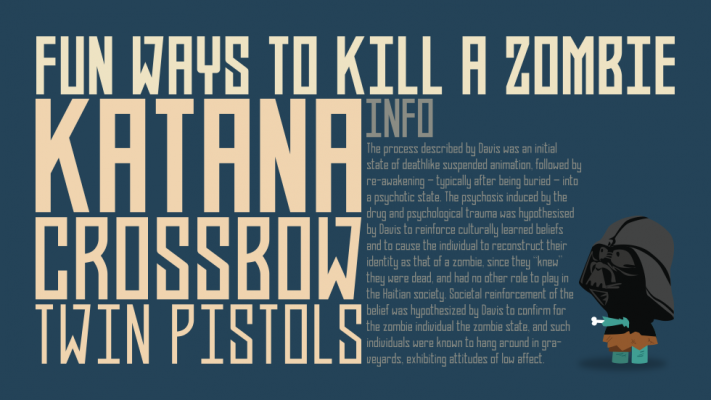 The static version comes as an OTF (OpenType) file in three weights. Light, regular and bold.